Want to try one of the hottest chili in the world? Come to Waka Waka (GPS: 5.31964,100.26929) in Sungai Ara, Penang. 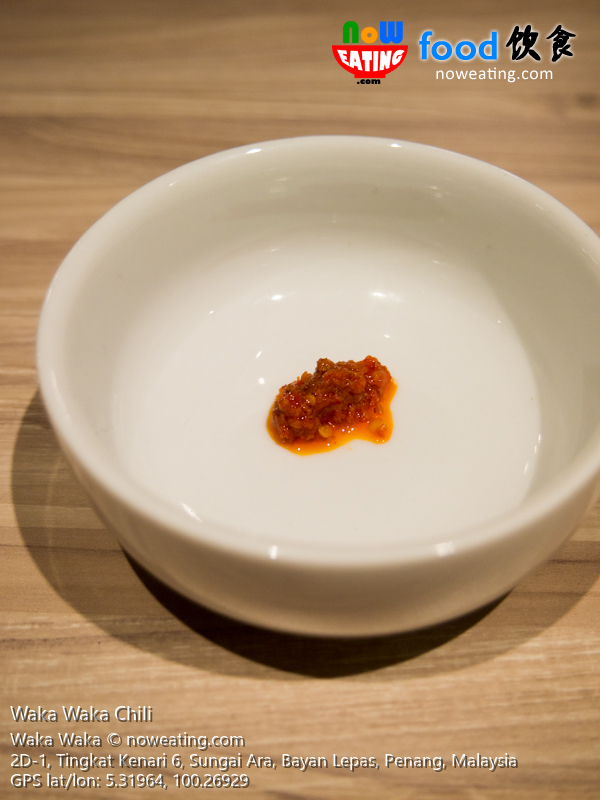 At first, we thought the staff was stingy by providing us chili paste less than a teaspoonful, just to find out later that it was actually for our own good. After all, they don’t want to have few dead bodies in the premise after dipping grilled chicken with world’s hottest chili.